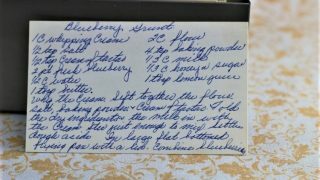 Front of the recipe card for Blueberry Grunt. Back of the recipe card for Blueberry Grunt. 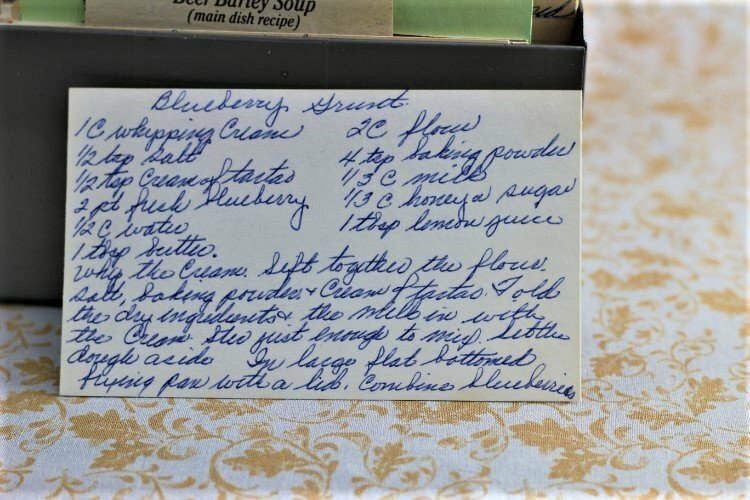 There are lots of fun recipes to read in the box this recipe for Blueberry Grunt was with. 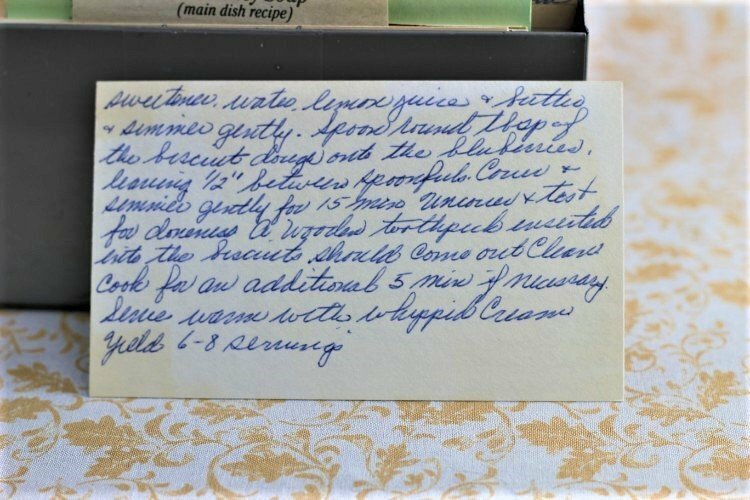 Click here to view all of Vintage Recipe Box 96. Use the links below to view other recipes similar to this Blueberry Grunt recipe. If you make this Blueberry Grunt recipe, please share your photos and comments below! Sift together the flour, salt, baking powder & cream of tartar. Fold the dry ingredients & the milk in with the cream. Stir just enough to mix. Set the dough aside. In large flat bottomed frying pan with a lid, combine blueberries, sweetener, water, lemon juice & butter & simmer gently. Spoon round tbsp of the biscuit dough onto the blueberries leaving ½" between spoonfuls. Cover & simmer gently for 15 mins uncovered. A wooden toothpick inserted into the biscuit should come out clean. Cook for an additional 5 min if necessary.